Have you gone a little overboard with adding apps to your smart television, or do you want to remove preloaded apps from your home screen? Don't worry. Removing apps is easy and only takes a few seconds to clear out. 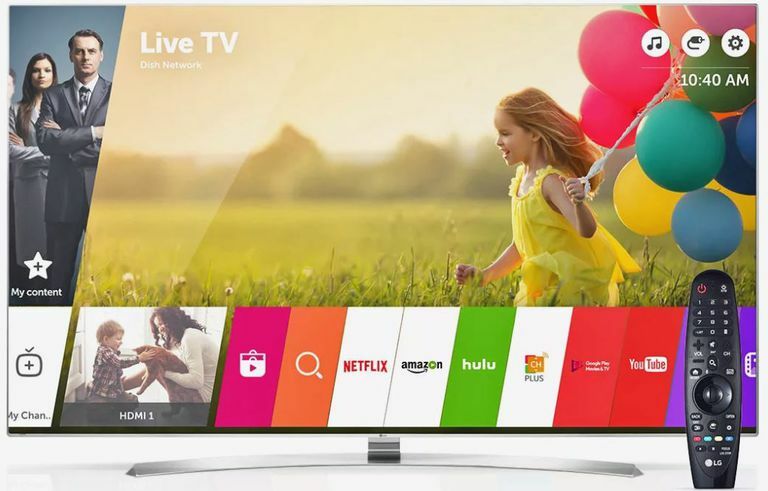 Here's how to delete apps on LG smart TVs. These steps work for LG Smart TVs, including WebOS, OLED, and LED Super UHD smart televisions. Adding apps to your smart TV is a great way to expand its capabilities. You can add everything from movie streaming services like Hulu and Crackle, to games and screensavers. Eventually, though, you may realize you have too many apps cluttering your dashboard, and it now takes forever to scroll through and find your favorite ones. It's time to declutter. Take a few moments to go through your apps and evaluate how often you use them. If you haven't used an app in the last few months, delete it. If you truly ever do need it again, it will be in the app store to be downloaded again. On your television's original remote, press the Smart Home button. The app dashboard will appear on the screen. Make sure you use the television's original remote. These steps will not work with your satellite or cable box remote. Scroll right using the arrow keys on your remote to find the app you want to delete. Press the Up button on the remote. A ghost icon will appear above the app. Press the Okay button on the remote. A pop up will appear asking you if you want to remove the app. Press the right arrow key to select Okay on the screen, then press the Okay button on the remote. The app will now be deleted. You can then scroll right or left using the arrow keys on the remote to find more apps to delete.